I wanted to make a scatterplot full of points to represent my confusion, but it always looked too sensical. 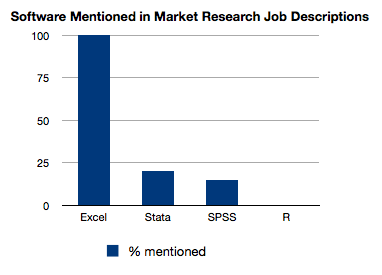 My classes were 100% SPSS, but the job description distribution seems right. 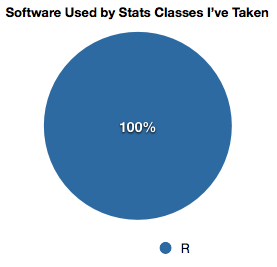 I think they use R because it’s a) free; and b) super geeky (all of my stats classes are through the math dept and not a social science dept).